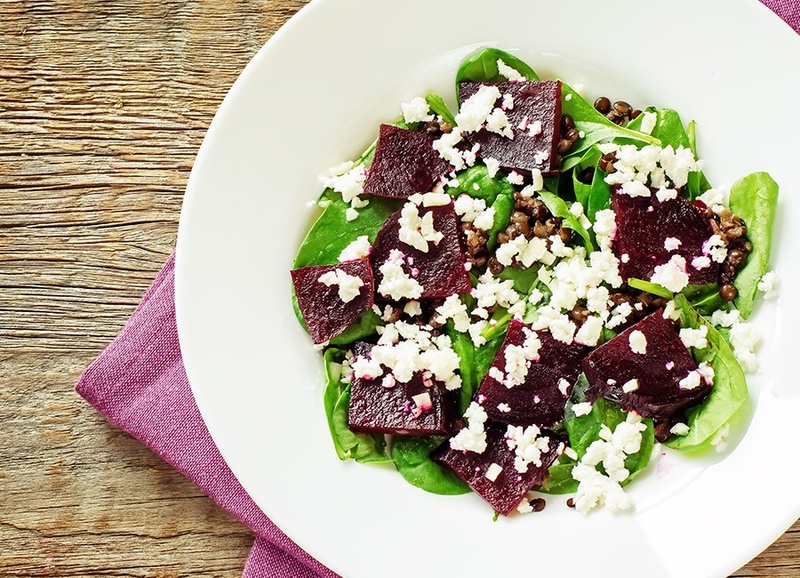 Whether you’re making a sandwich, roasting root vegetables or preparing a salad, extremely versatile beets make a flavorful addition to any meal. Beyond being delicious, beets are packed with nutrients that can help lower blood pressure to reduce inflammation. Beets should be small and firm with a deep maroon or gold coloring. Be on the lookout for beets with the leaf stems still attached – this will ensure freshness. Root bulbs of beets can be bagged and stored in the refrigerator for 7 – 10 days. Make sure to trim the leaves about 2 inches from the root after purchasing. These leaves take away moisture from the beet. Ocean Mist Farms beets are available year round thanks to our two outstanding growing regions in California’s Salinas Valley and Coachella Valley. Our state-of-the-art harvesting machines provide food-safety assurance and allow us to maintain consistently high quality. Beets are harvested and packed right in the field and rushed to the cooler so that they are in peak-quality condition when they arrive at the store and on your plate!